A versatile monitor-control solution for project and professional studios, the Mackie Big Knob Passive Monitor Controller delivers professional level control in every situation. Built with the classic Big Knob volume control, the Big Knob Passive allows you to choose between two sources and two monitor pairs. You can rely on the Big Knob Passive for pristine sonic integrity throughout the signal chain with the passive audio path. 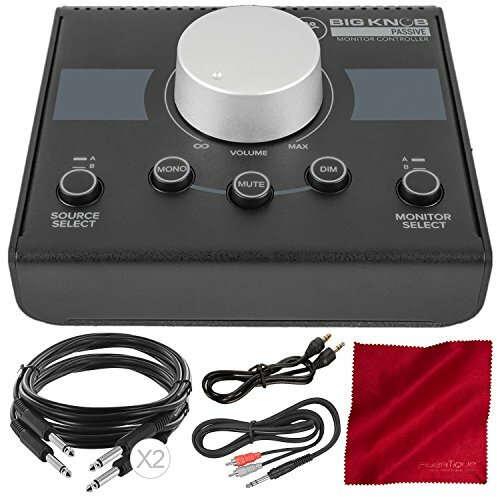 Controlling your sound is simple with the Big Knob Passive’s professional mono, mute, and dim functions and with no power supply needed you can just plug in the sources and you’re all set. Mackie’s sturdy built-like-a-tank design makes the Big Knob Passive the volume control that will last through a lifetime of professional use.